My name is Kini and, this month, me and my family decided to collect donations for my trip to Calais by standing outside Finsbury park tube station every morning for two hours during rush hour. We handmade lots of leaflets with a picture on one side and information on the other about what we needed and what was happening in Calais. We tagged each leaflet with a hand drawn heart – we thought it made them more personal. 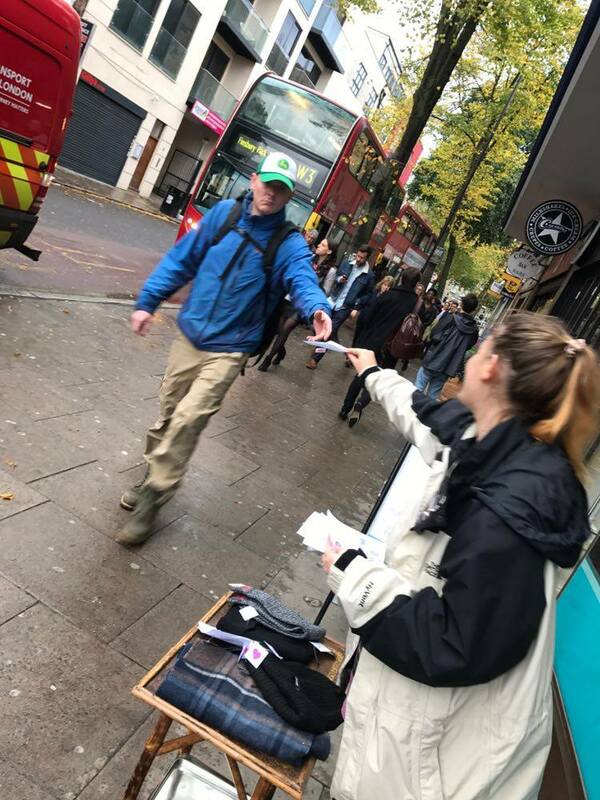 We handed out 2,000 leaflets over nine days, unsure of whether we would get any donations or if we would get a negative reaction from people. Amazingly loads of people responded! It took a few days for things to start coming in but soon bags were piling up. Many people also asked about how they they could get more involved, people asked where they could send money to, and we even managed to connect with a large retailer who was able to donate lots of great brand new stuff direct to C4C. After nine days of standing outside for two hours every morning we set off with a car stuffed to the roof with donations. Overall it was a great success as, in addition to collecting the donations, the local community responded positively with an outpouring of aid and compassion. We raised awareness and met some great people.